Join us for powerhouse panel discussion with four emerging designers on the ins and outs of working for an agency, studio, in-house or freelance career. Ringmaster and Emcee, Adrian Ornelas will take them through 5-Rounds of tough questioning to knock out the differences in career paths, how design is evolving, and what they are doing to evolve as designers. This event is part of Wichita Design Week 2018 and a national EMERGE week with multiple AIGA chapters participating. 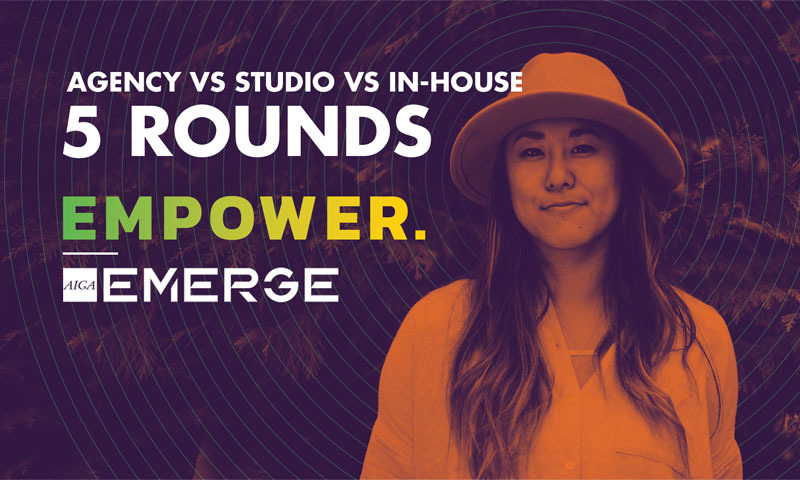 AIGA EMERGE: Tailored Experiences to Empower Emerging Designers. Ringmaster: Adrian Ornelas, Brothers & Co.